With traffic clogging up roads and no congestion fee rides throughout London, motorbikes are becoming more and more popular. Not only are they able to weave around traffic and save themselves hours on their commuting journey. Despite the many advantages motorcyclists have, there are still many disadvantages. Although motorbikes are a minority on the roads, they are a nearly twice as likely to be killed in a car accident. Consequentially, the injuries in motorbike accidents are likely to be more severe. 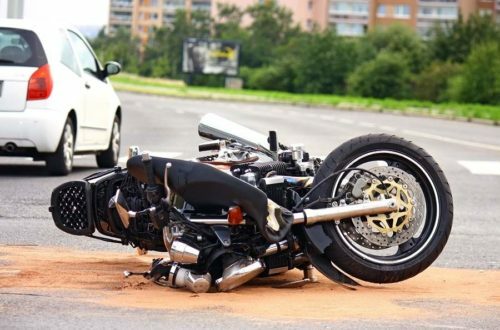 A motorbike accident claim is for those injured through a motorbike accident through fault other than their own who are seeking motorbike accident compensation. Motorbike claims may require more evidence than other traffic accident claims simply due to an incorrect bias against motorcyclists driving irresponsibility. Fortunately, at Bloomsbury Law, our solicitors are very experienced in making these types of claims. Our team at Bloomsbury Law understands that you may still be recovering from your accident. Seeking medical advice after your accident is a priority, so we will make sure to work around any appointments which you may have. It is our ethos to practise professional compassion and ensure you feel comfortable throughout this difficult time. If you are looking to make a claim, please get in contact with one of our specialists. We will answer any queries you may have and advise you accordingly.